Home school applicants who did not complete a regionally accredited program, must apply to GHC under the non-accredited home school/high school policy of the Board of Regents of the University System of Georgia and Georgia Highlands College institutional eligibility standards. 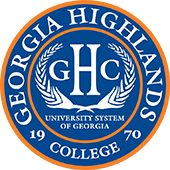 The high school curriculum is the cornerstone of the University System of Georgia (USG) and Georgia Highlands College admissions policy. The USG sets minimum high school requirements in each academic area to be met by all freshmen applicants and transfer applicants with less than 30 transferable semester hours. Students who completed an unaccredited home school program are required to submit a comprehensive portfolio of work in order to document equivalent competence in each of the five academic areas (English, mathematics, natural (lab) science, social science and foreign language) at the college preparatory level. Evaluation of and assessment of completion for each course listed in the home school portfolio is based on the guidelines contained in the USG Required High School Curriculum (RHSC) document titled “Staying on Course“, which details the requirements for new freshman and transfer applicants with less than 30 transferable hours of coursework. The academic portfolio must document the students’ progression throughout the standard high school years (9th grade through 12th grade). The portfolio must include a detailed description of course work completed in each academic subject area as detailed below. (6) the final grade earnedfor each course. Additional supporting documentation may be required as necessary to prove academic rigor of an individual course. SCIENCE: Four (4) units of science, with at least one laboratory course from the life sciences and one laboratory course from the physical sciences. The RHSC science coursework must include at least one (1) unit of biology, one (1) unit of physical science or physics, and one (1) unit of chemistry, earth systems, environmental science, or an advanced placement science course. Students satisfying the 4th unit of science requirement with a computer science course may not use that same computer science course towards satisfying the foreign language/American Sign Language/Computer Science requirement. FOREIGN LANGUAGE: Two (2) units in the same foreign language emphasizing speaking, listening, reading, and writing. Two (2) units of American Sign Language or two (2) units of Computer Science (with an emphasis on coding and programing) may be used to satisfy this requirement. Students satisfying this requirement through the computer science option may not use the same courses to satisfy the 4th science unit. Each course should be representative of one Carnegie Unit (one academic year) of study. Half Carnegie Units may not be combined with other half units completed in a different course, except for the third unit of social science (typically .5 American Government and .5 Economics) and for the fourth unit of natural science. Both foreign language units must be in the same language. The Office of Admissions will review the portfolio of work to determine completion or deficiency in the minimum required RHSC units in each subject area as outlined under the USG BOR high school curriculum document titled Staying on Course, available at the USG Board of Regents website (www.usg.edu) or by direct link at the following site, http://www.usg.edu/assets/student_affairs/documents/Staying_on_Course.pdf). Institutional guidelines for assessment of RHSC coursework are maintained in the Office of Admissions. If required, register for placement testing.